Optomed Oy has created portable, cloud-based medial cameras that diagnose a variety of eye conditions, optimize resources and improve eye care delivery. 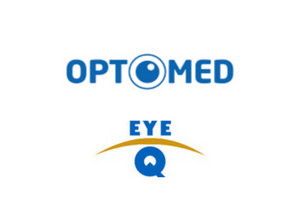 The primary goal of the pilot with EyeQ’s super specialty eye hospitals, was to evaluate the performance of Optomed’s products, Smartscope Pro and Smartscope FFA, and compare the image quality, diagnostic ability and overall utility with that of a conventional camera. In this pilot, Retinal Surgeons and Senior Optometrists screened patients allowing for Optomed to compare the analysis of Angiography images from their low cost Smartscope FFA camera with images from the Conventional FFA Camera. A secondary goal was to evaluate the user experience with patients that were able to experience a test with both products. ~400 retinal images were scanned across all 4 Eye Q Specialty Hospitals using the Smartscope Pro. 40+ patients were screened using Smartscope Fundus Fluorescein Angiography (FFA). Pilot results showed Smartscope had a higher rate of retinal disease detection compared to a standard conventional exam. Overall, it was found that Optomed Smartscope FFA camera performed very well for objective parameters that were critical for clinical decision making. Therefore, it was concluded that this camera is a promising low cost alternative to the gold standard, high cost camera. Smartscope was assessed by users and the overall user rating was excellent. Moving forward, the Optomed team would like to study financial implications of the solution based on agreed upon metrics. Product optimizations have been made to ensure the battery life is sustainable for a longer period of time.